QuickJack. 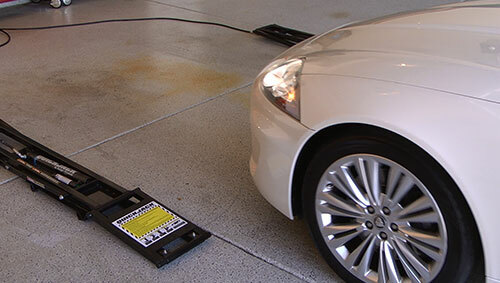 Your go-anywhere, stow-anywhere car lifting solution. The no-assembly-required set-up means practicality and portability becomes reality. 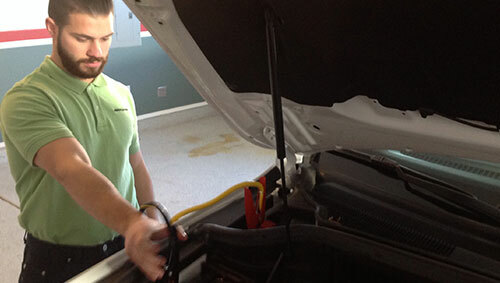 Simply position the lightweight jack frames under the vehicle, push the raise button on the remote hand-held pendant control and in less than a minute the entire car is almost two-feet off the ground, ready for tire changes, chassis tuning or other maintenance. Roll the QuickJack frames into a parallel position. 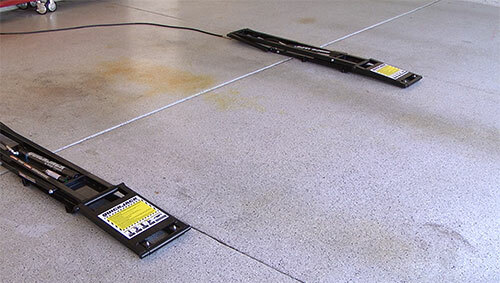 Place both QuickJack frames on a stable floor surface with both safety-lock bars positioned outwards. 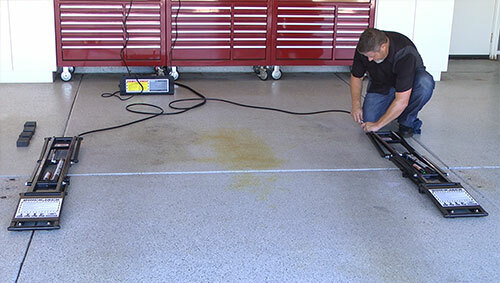 Connect your hoses up from the power unit and the jack frames with the quick-connect fittings. Plug-in or connect your power unit into an appropriate power source. 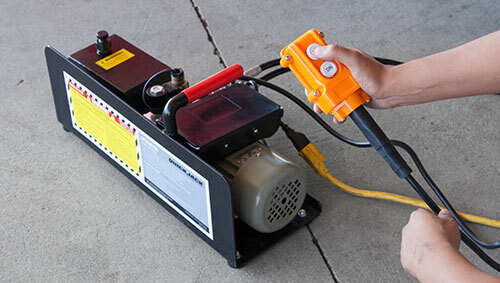 Depending on which model power unit you selected, connect it to its appropriate power source. Position your vehicle between the QuickJack frames. Place jack frames under vehicle making sure to position the rubber lift blocks at the factory recommended jacking points or at alternate support location. Raise your vehicle in seconds. Operate the UP control until each jack platform reaches either the mid-rise locking position or full-rise locking position.